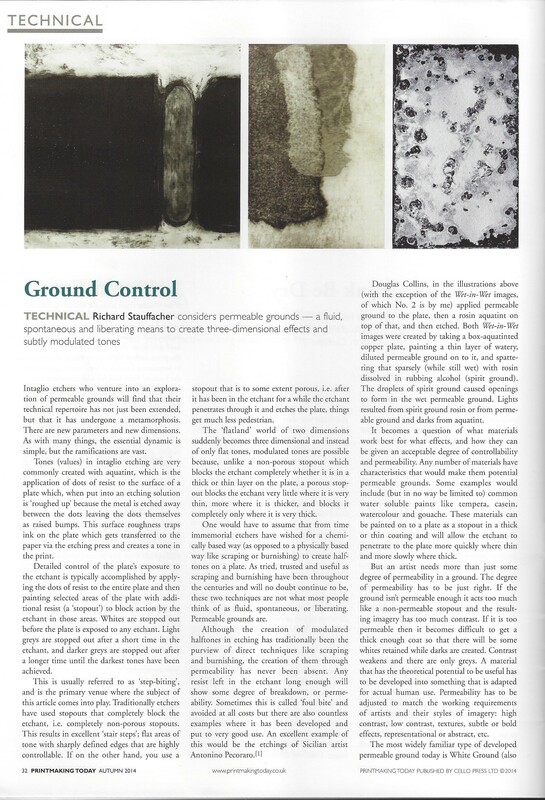 "Printmaking Today" article about White Ground ("Ground Control"), an article about permeable grounds (White Ground/Soap Ground) by Richard Stauffacher that appeared in "Printmaking Today" Vol. 23 No. 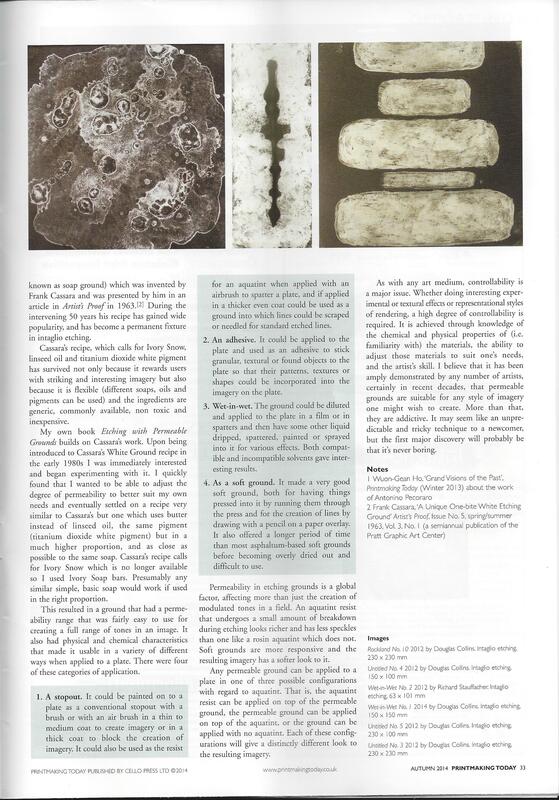 3 Issue 91, Autumn 2014.